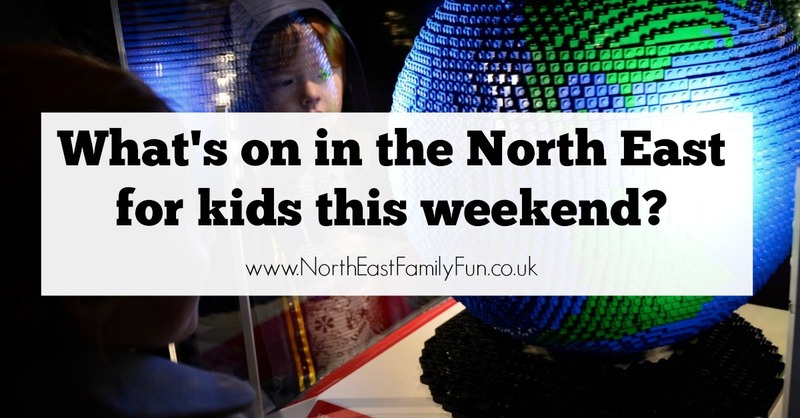 Welcome to our weekly guide to what's on in the North East at the weekend. Make sure you follow our Facebook page for more ideas and inspiration. The museum launches it's new exhibition this weekend featuring the skeletons, fossils, teeth and bones of over 100 creatures. FREE entry. Create a digital photographic alphabet using iPads, SLR cameras and even your own smart phone. FREE event but place need to be booked in advance. Enter the Jurassic period and meet dinosaurs face to face - each one is made using LEGO bricks. You can then try building your own dinosaur. Admission charges apply. A fun-filled morning for under 5's filled with music, song and dance. Tickets must be bought in advance and cost £2/£3. The First Hippo on the Moon is by No1 Bestselling author David Walliams. Aimed at children aged 3 and up, this exciting space adventure is not to be missed. This guided walk is included in normal admission. Expect fascinating facts and learn all about the WWT's conservation work. Join Washington Arts Centre and celebrate Chinese New Year with their Chinese Dragon Making Workshop. All materials are provided (cost £3.50 per child on the day). Aimed at children aged 4+ and their families. This free family event includes firecrackers, dragon dancing, arts and crafts, martial arts, lion dancing and more. Seaton Delaval Hall host free crafts (included with admission) every Sunday from 11am-1pm. This week, it's wellie/glove clips. Or how about a family walk around Plessey Woods or Dunstanburgh Castle? If you're still feeling a little skint after Christmas, you can try one of these 10 FREE days out in NewcastleGateshead. Let me know what you're up to this weekend - have a good one. Might head to seaton deleval hall on sunday. been ages since we went there. great list as always!